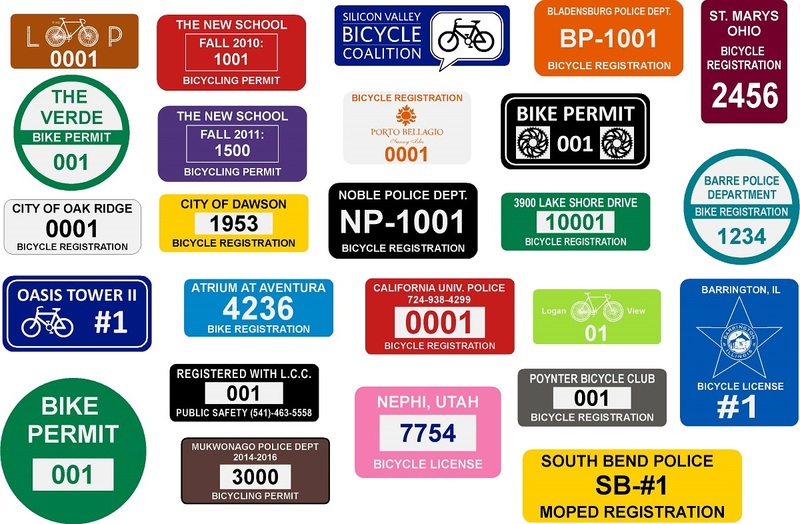 Imprints offers custom printed bicycle registration permit labels. 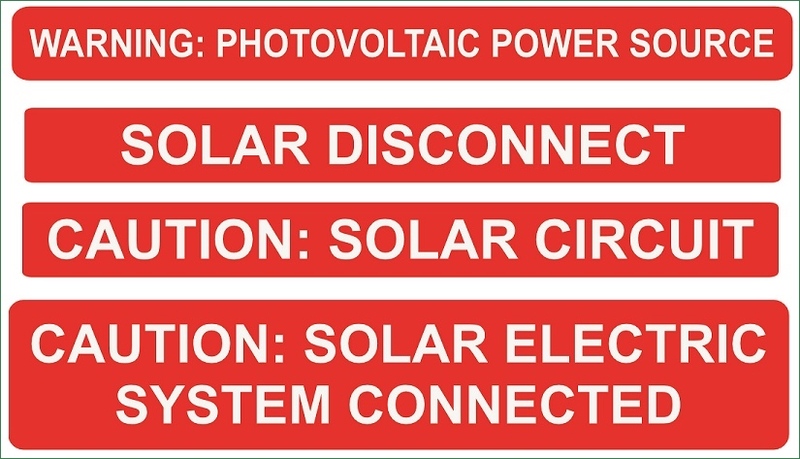 These labels are printed on UV laminated aggressive adhesive vinyl or UV laminated reflective material, and are weather/chemical resistant. There are no set up charges. You pay just for the labels and shipping. They can be die cut to just about any shape or size. There are no minimum quantities but there is a minimum charge. In most cases they are printed and shipped in just a couple days once the proof is approved. Faster if necessary. Below are some samples that you can use as a guide, but are not limited to. 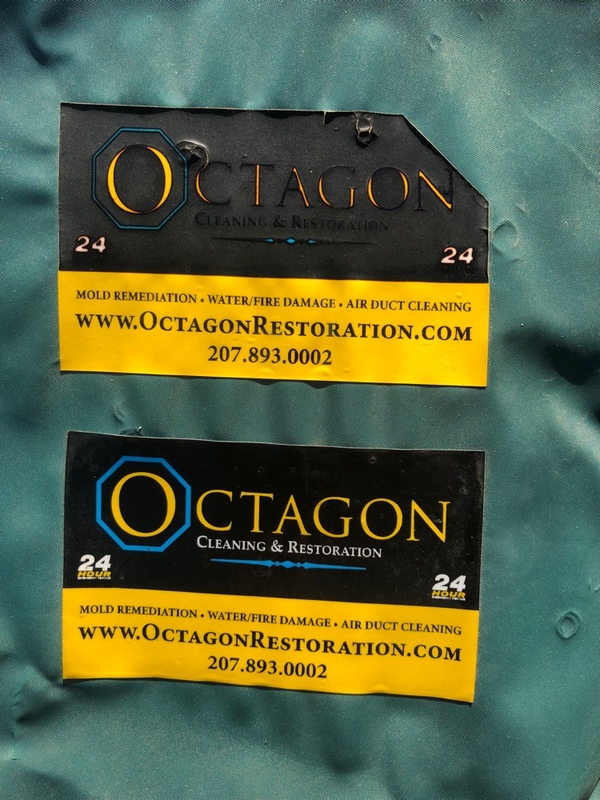 We are limited to what we can do with logos and colors, so if you have a logo or need a specific color we will need to see it first. For smaller quantities, up to 1,000 the finished labels are supplied on sheets. Depending on the size, larger quantities may be supplied on rolls. 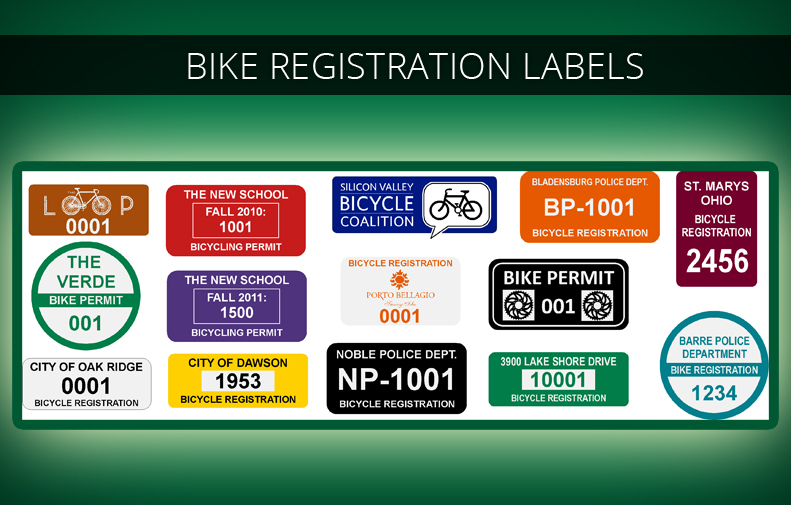 Pricing for our bike registration labels is very simple. For any size, 2″ x 1″ or smaller, pricing is as follows for up to 2 colors. In most cases, the finished labels are supplied on sheets. For sizes over 2×1 and for quantities above 1,000, call or email for a custom quote. *Reflective not available in all colors. Check for availability.